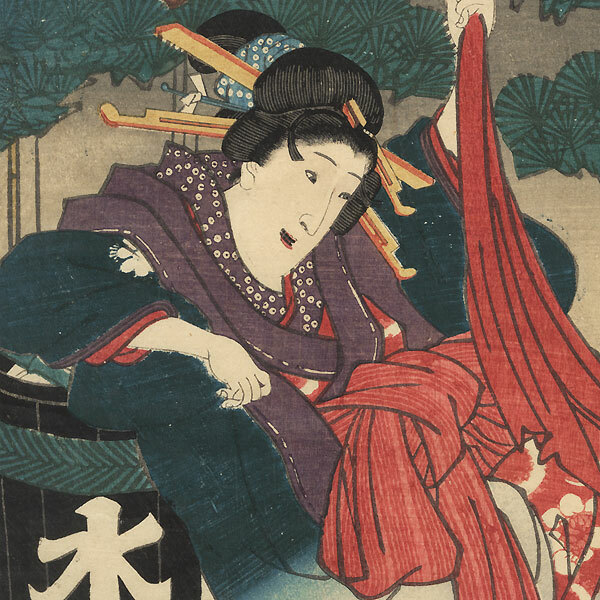 Comments - Intriguing kabuki scene of a beauty making an escape over a courtyard fence, hanging from a red sash tied to the branches of a pine tree. 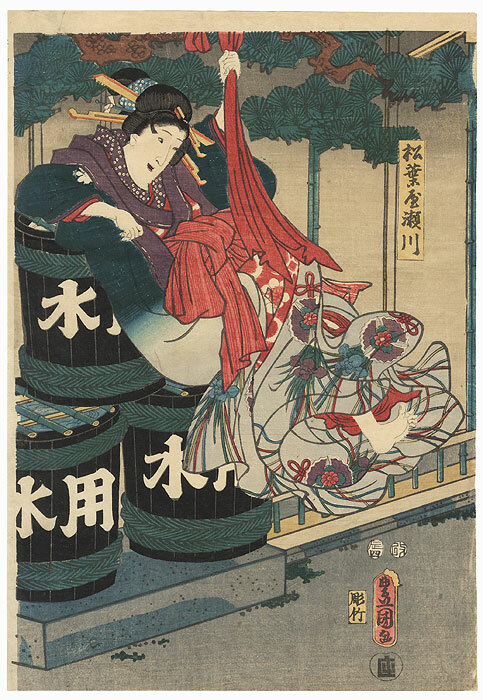 She smiles happily as she swings her foot forward, one elbow resting atop a stack of wooden barrels filled with water for emergency use in case of fire. 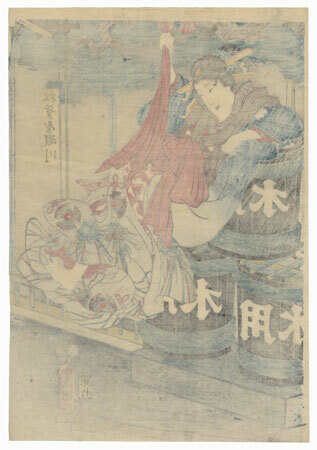 Her kimono is shaded from dark blue-green to light gray, patterned with floral ornaments with dangling ribbons. A terrific, interesting design, with a handsomely detailed setting. Condition - This print with excellent detail as shown. A couple small wormholes, repaired. Slight toning and creasing. Please see photos for details.